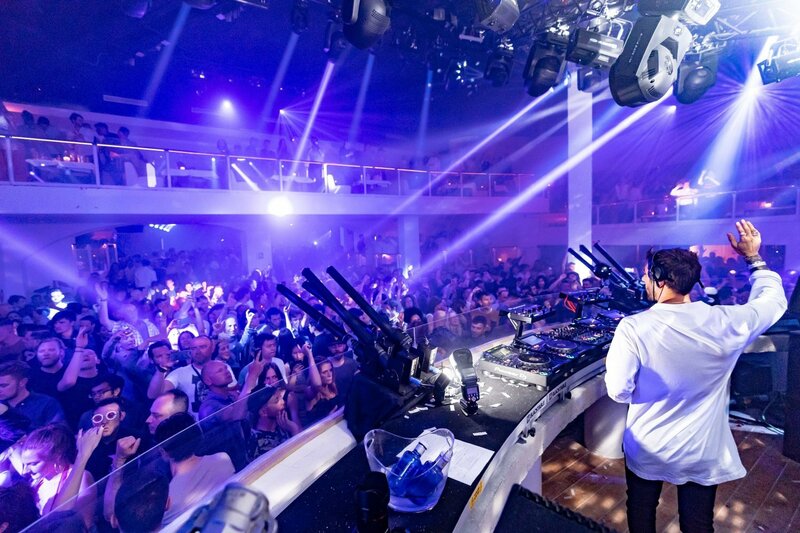 The world famous Pacha nightclub is back for 2019 with a whole bunch of pre-season parties to get you in the mood for the imminent Ibiza summer. Eight fabulous showcases have been organised, running throughout April into the first days of May. It all kicks off on Wednesday 17 April, with local Ibizan DJ talent agency TEN taking over the club. On this midweek special, you can catch Oriol Calvo, HITCH, Caal and Roberto Navarro on deck duties. On Thursday 18, the underground forces of the Unusual Suspects are in session. Party veterans; Rossko, Frank Storm and Federico Grazzini all step up laid down heavy beats for the evening. Next up are the sonic stylings from the Ibiza Talents label. Cristian Viviano, Eder Alvarez, Fabio Ferro, Gennaro De Sarno, Reelow and Tom Pool all show up to show off their skills on Friday 19 April. The Vintage clubbing experience by Sebastian Gamboa makes Pacha its home for one night only on Saturday 20 April. Gamboa is joined by spectacular artists Lunnas and Victor Nebot, alongside violinist B-Linda. The LiFT gang invite you to prance about to a selection of cool tunes on 21 April. Specialists selectors Traumer, Michael James, Adam Chappell, Jeremy Weeks all make an appearance for this hot Sunday session. The wild crew of The Zoo Project will take over Pacha for a Warm-Up on Friday 26 April. Renowned regulars Dana Ruh, Djebali, Luca Cazal and Milou will be in control of the dance floor all night long. The famous Mambo Brothers headline a night dubbed Momento on 27 April. The dynamic duo is joined by Circus recordings label boss Yousef and eclectic mixer Mr Doris. Last but by no means least, Lovin' Ibiza goes all out on Thursday 2 May. The party's mega line-up includes ATK1 aka Abel the Kid, Oscar Colorado, Agassi, Felix Da Funk, Nukov & Yelmet and King aka Sampleking. All of these tantalising parties are enough to whet any clubbers musical appetite before the season begins. Pacha is expected to announce its May summer opening parties very soon, so keep an eye on our magazine for more updates to follow.